Request a demo of Interloc Mailer. 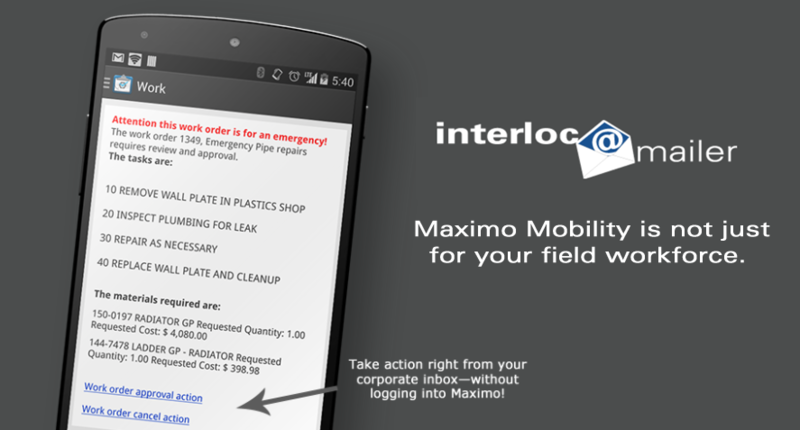 Interloc Mailer securely extends Maximo workflows to your corporate email on your mobile device. For the first time, from wherever you may be, you have all the business details you need to make the decision and the ability to take action in Maximo with a single click right from inside your email.